From the summer of 1774 through 1776, five extralegal representative assemblies patterned after the colonial Lower House led the transition from royal to state government in North Carolina. In the process, these Provincial Congresses created a revolutionary governmental structure, issued bills of credit to finance the movement, organized an army for provincial defense, and wrote the bill of rights and the constitution that established the state. 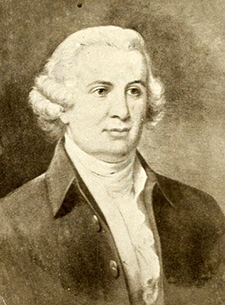 Despite the opposition of royal governor Josiah Martin, John Harvey, Speaker of the Lower House of the Assembly, conspired with William Hooper in proposing an election of delegates for a provincial meeting to select representatives for the forthcoming Continental Congress to be held in Philadelphia in September. With a majority of the towns and counties represented, the First Provincial Congress convened in the capital of New Bern on 25 Aug. 1774 with Harvey as moderator. In three days the delegates selected delegates to the Continental Congress and approved a trade boycott as a response to the punitive measures that Great Britain had imposed on Boston. As royal authority deteriorated, town and county committees had emerged as the de facto local government, and the First Provincial Congress charged these committees with the enforcement of the proposed boycott. The Second Provincial Congress, of 3-7 Apr. 1775, also held in New Bern with Harvey as moderator, approved the Continental Association, an economic boycott that had been authorized by the Continental Congress. Just a month later the news reached North Carolina of the bloody clash at Lexington and Concord in Massachusetts; soon Governor Martin fled the capital to the safety of British warships in the Cape Fear River, ending royal government in the province. Overt military action began on 18 July, when the Cape Fear militia burned Fort Johnston. As a result of the recent events, the atmosphere was more revolutionary when the Third Provincial Congress met during 20 Aug.-10 Sept. 1775 at Hillsborough. Because of the recent death of Harvey, Samuel Johnston was elected to preside. This congress established the Provincial Council, an executive committee, to conduct the affairs of the province when the Provincial Congress was not in session. Representation on the council was based on the six military districts, which were also used for organization of the province's militia and minutemen units. Bills of credit, which were used as currency, were issued to fund defense and the government. Two regiments of Continental troops (regulars) were raised and in the coming months sent to aid both South Carolina and Virginia. The Loyalist uprising early in 1776, and the ensuing Moore's Creek Bridge conflict and British incursion on Cape Fear, radicalized the Fourth Provincial Congress, held at Halifax during 4 Apr.-15 May 1776. With Johnston again presiding, the congress reorganized the militia for more efficient administration and raised an additional four regiments of regulars. Preliminary steps were begun on a state constitution, and more bills of credit were authorized. The important accomplishment was the passage on 12 April of the Halifax Resolves, which was the first official action toward independence by any province. Coming after the signing of the national Declaration of Independence, the Fifth Provincial Congress convened during 12 Nov.-23 Dec. 1776 also at Halifax, to draft a state constitution. Richard Caswell, one of the heroes of the Battle of Moore's Creek Bridge, was elected congress president. By 18 December a "Declaration of Rights" and state constitution were adopted, and two days later Caswell was elected the first governor of the new state of North Carolina. "The First Provincial Congress." Revolutionary North Carolina. LearnNC.org. http://www.learnnc.org/lp/editions/nchist-revolution/4332 (accessed December 5, 2012). "First Provincial Congress." N.C. Highway Historical Marker C-50, N.C. Office of Archives & History. http://www.ncmarkers.com/Markers.aspx?sp=Markers&k=Markers&sv=C-50 (accessed December 5, 2012). "Colonial and State Records of North Carolina: CSR Documents by North Carolina. Provincial Congress." Documenting the American South, University of North Carolina at Chapel Hill. http://docsouth.unc.edu/csr/index.html/creators/csr10018 (accessed December 5, 2012). "Photograph, Accession #: H.19XX.322.49." 1910-1920. North Carolina Museum of History.